Nehemiah’s journey to completion of his mission began in the ruins of a defeated city. Nehemiah did five things, Greenway noted, that provide guidance for us as leaders in similar circumstances. Nehemiah, first, did an assessment, inspecting the extent of damage and developing a plan. 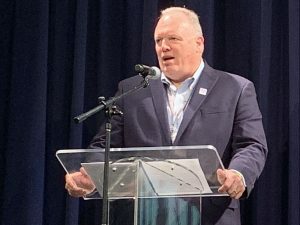 “For the last two years, the WCA Council has been assessing the reality of the denominational rubble we find ourselves in,” Greenway declared, and determining what “needs to be done to build the foundation of what a next or renewed Methodism should like.” This process has culminated in the election of the Next Steps Working Group. The complete text of Greenway’s closing address to the Global Legislative Assembly may be read here.